The SS Keewatin was launched in 1907 and served with the CPR Great Lakes Steamship Service. The Keewatin sailed between Port McNicoll and Fort William, completing the Canadian Pacific Railway’s cross-country route. In 1912, CPR moved its main terminus to Port McNicoll, taking advantage of the natural deep water harbour. The Keewatin and four other CPR steamships were moved there from Owen Sound. A grain elevator was also built to recieve grain shipments from around the great lakes that were destined for Ontario and Quebec. 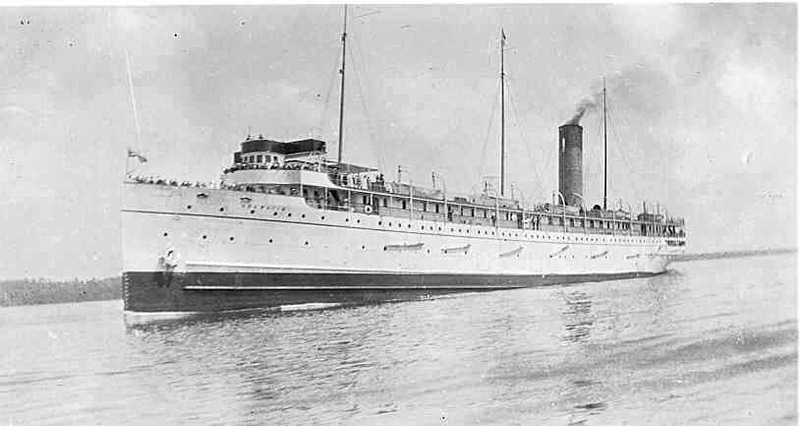 Eventually, the demand for passenger service on the steamships disappeared, and the Keewatin was moved to freight only service. 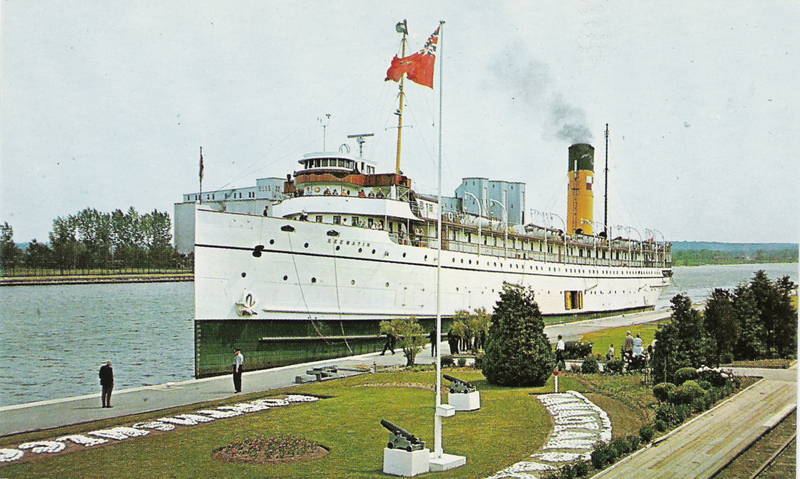 This didn’t last long, and the Keewatin was eventually retired in 1965. She was purchased in 1967 and moved to Douglas, Michigan where she was turned into a museum. The Keewatin has been purchased and is being brought back to Port McNicoll as part of a large redevlopment of the historic port. The ship will be arriving June 23, 2012, and details will be available on this site as they arrive. To view posts that have been written about the Keewatin, click “SS Keewatin” in the “Tags” portion of the right hand sidebar. Hi, I’m a researcher for the newly opened Fairfield Heritage Centre at the former Fairfield Shipbuilding and Engineering Company’s offices. As you no doubt know, The SS Keewatin, was built at our Fairfield yard at Govan on the Clyde. We are delighted and very proud to learn that this grand ship has been preserved for future generations to enjoy. I am searching for images of the SS Keewatin, (particularly photographs of the interior) as part of an AV project to illustrate the story of her life from launch to the present day. We would be grateful if you would give your permission for us to use the image of the Drawing Room on this page. We would of course credit you as the source. Hi! My name is Ed from Waterloo Ontario. We still have our cottage built in 1953 on Grandview Beach. I am familiar with the Port McNicoll area. I have 2 interior photos of the Assinibioa and Keewatin. They are from the real photo Bald series. If you have interest contact me below. 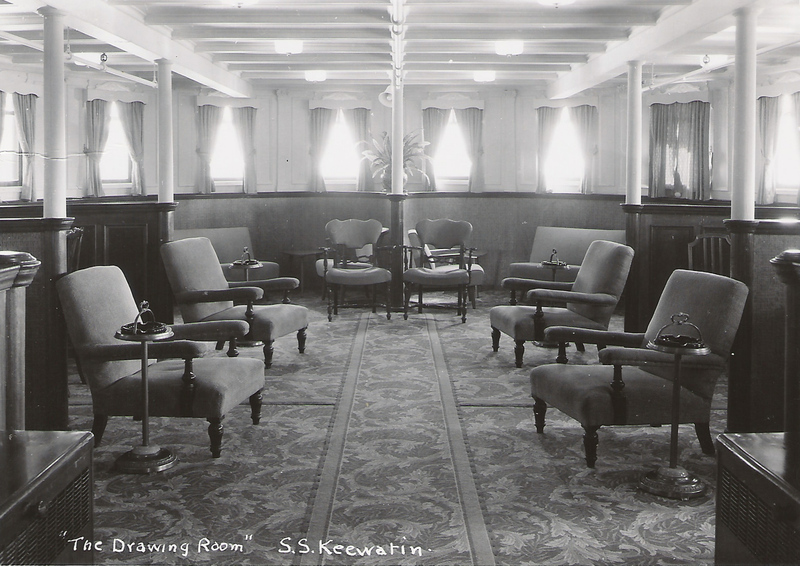 Long time responding, but if you still have those pictures of the Keewatin’s interior I’d love to see them..